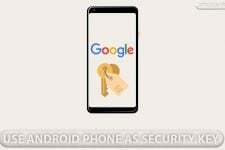 Many of us are enjoying the sweetness of Android Pie on our Android smartphones these days. It has been three years since Android 6.0 Marshmallow arrived with many features that were, at the time, unheard of. Direct Share is one of those features that Google really should have perfected by now. Unfortunately, Direct Share can still be really annoying and in many cases, unhelpful too. 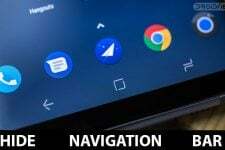 Samsung and LG provide an easy software switch in the device settings to turn off Direct Share. Everybody can still disable it, but the process is slightly more complicated and requires root. 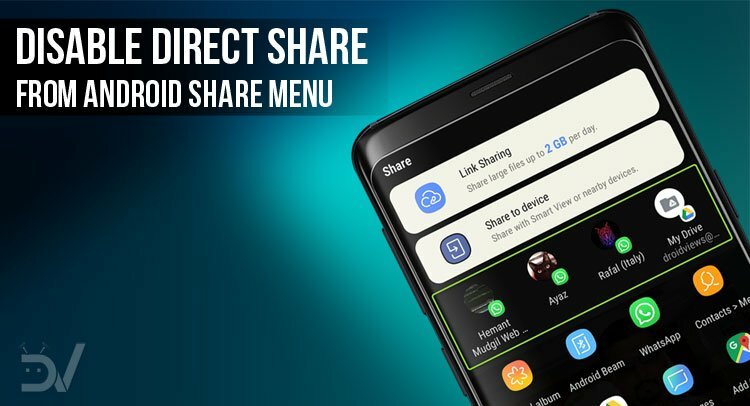 Here’s how you can disable direct share from Android share menu. For the uninitiated, Direct Share is a feature introduced in Android 6.0 Marshmallow where Android lists contacts from several apps that you frequently share stuff with. 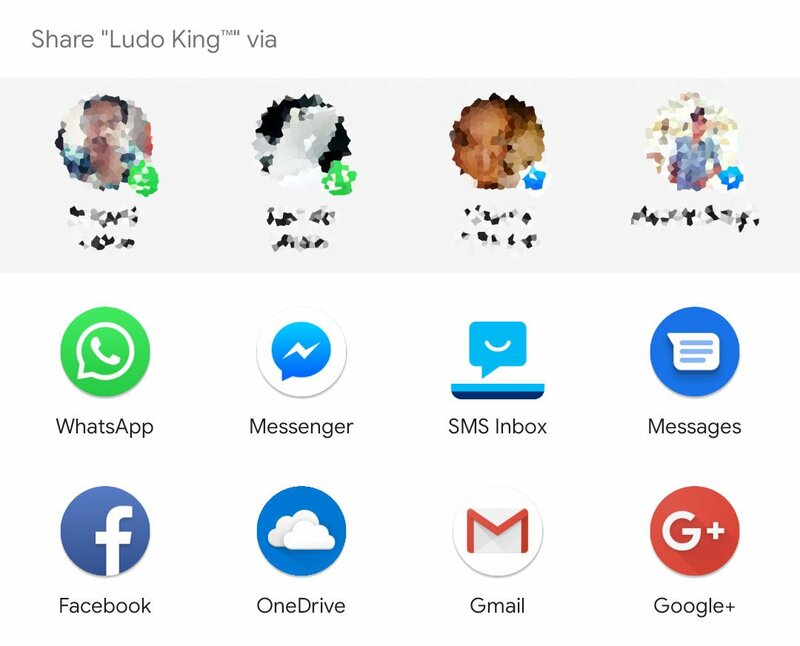 This includes contacts from WhatsApp, Messenger, Telegram as well as Gmail and any other such communication apps. It was meant to be helpful, and in theory, it should be. However, the direct share feature is usually annoying if you don’t use it much. It appears everytime you want to share something, but it does not appear right along with the share menu. Instead, it pops up a moment later and displaces app icons from their original position. This more often than not makes one miss the intended tap. I’m sure it has happened to the best of you on several occasions. Samsung and LG are arch rivals and if one of them does something, it is very likely that the other will follow suit, so as to not be left behind. 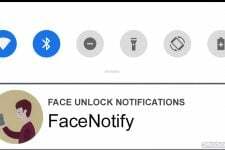 We’re not sure who brought this feature first, but if you’re an owner of a Samsung or LG device, you’d be happy that somebody did. 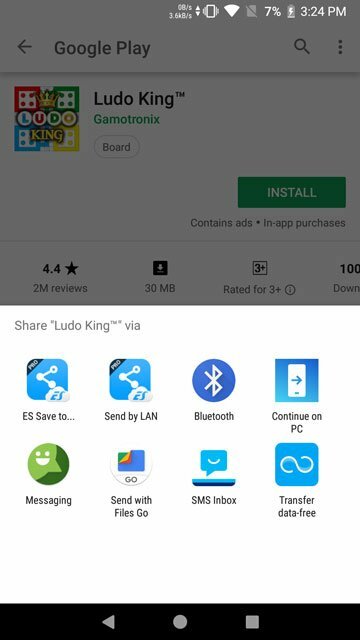 On a Samsung device, you can remove Direct Share by simply going to the Advanced Features section in Settings and toggling off Direct Share. On an LG device, you’d find this toggle under the Networks > Share & connect > Sharing panel. You can still disable Direct Share on your non-Samsung/LG device but it does require that you have root access. One has to do is somehow block the direct share intent from being broadcast to the system and this can be done using something like a firewall, except for intents, an intent firewall. Surprisingly, Android already does have an intern firewall and it has had one since Android 4.4.2. It’s not a very well documented feature, in fact, it is not been officially documented at all. This probably means that the intent firewall is something Google has just forgotten about and might even remove it in the future. Until then, we can utilize this feature to disable Direct Share on any Android. Hopefully, by the time Google comes around to removing the intent firewall, they’ll have gotten rid of the Direct Share annoyances. All that you’ll have to do is create an intent filter and place it inside the intent firewall folder. 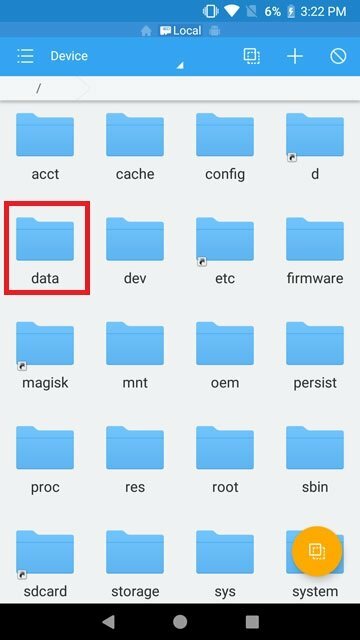 This folder is hidden away in the /data/system/ folder. Therefore, the process requires root access. 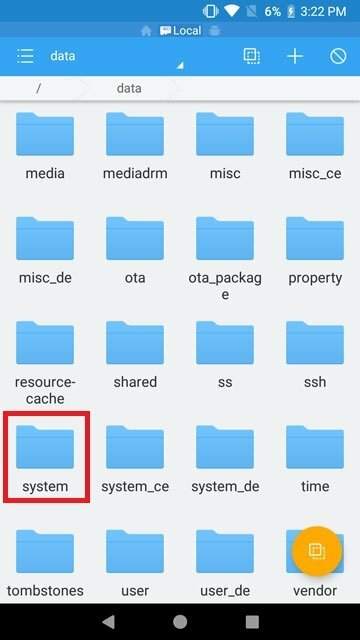 You’ll also need a root-enabled file explorer and a text editor if the file manager doesn’t already have one built-in. In most cases, the file manager already has a text editor and that’s usually enough. First, create a new file and name it anything.xml, and I really mean anything. The name doesn’t matter as long as you give it the .xml extension. 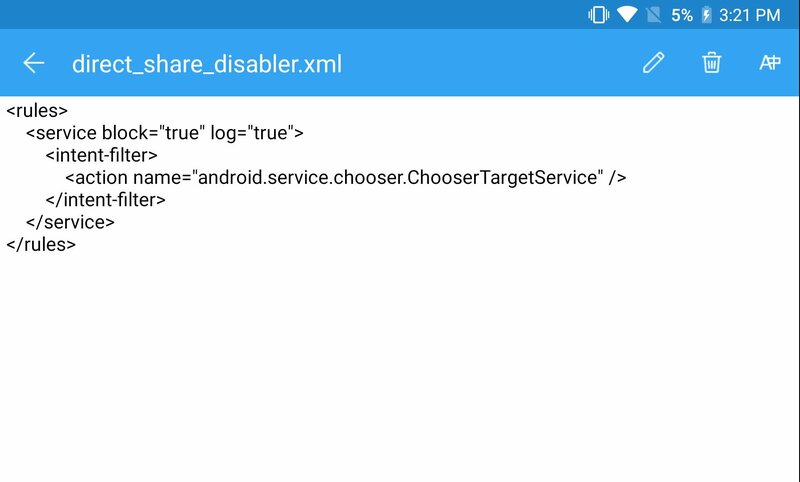 So for instance, I named it direct_share_disabler.xml. Open the file then using a text editor and type, or copy paste the following code in the file. 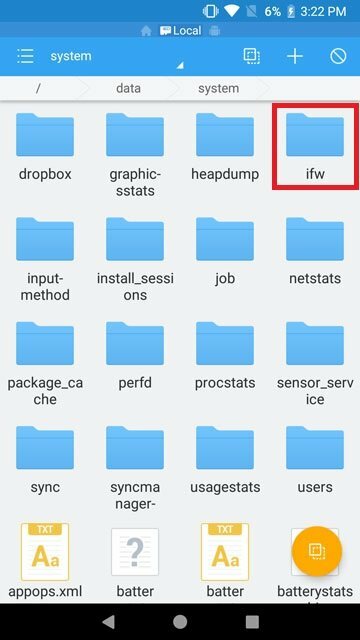 Now that you have the file, just copy or move it inside the /data/system/ifw/ folder using the file explorer. If you’re familiar with modifying the root partitions on your Android device, you’d know a reboot is required usually after modifying something. That’s not the case here though. You can already go ahead and see that Direct Share is disabled. Should you have any queries to make, don’t forget to drop us a comment below!